For some time now we have been compiling a list of items that really ought to be added to this website but which don't fit in with any of the existing pages. In the fullness of time I might rearrange the site to accommodate them but in the meantime we list them here as a number of unrelated snippets. 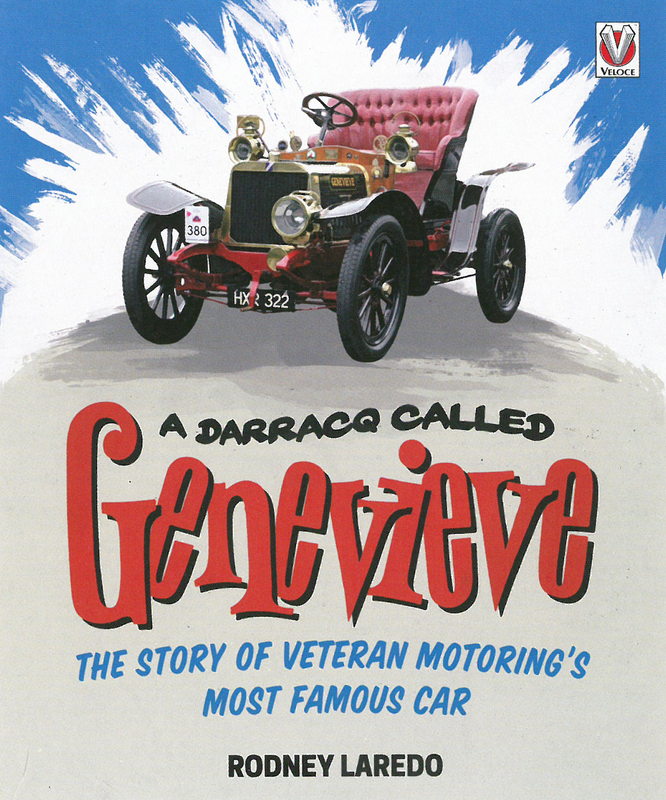 We have recently discovered a Takeley link to the car Genevieve used in tehe 1934 film of the same name . Read more..
Ros Boon, a member of the Piper family, has corresponded with me for many years. 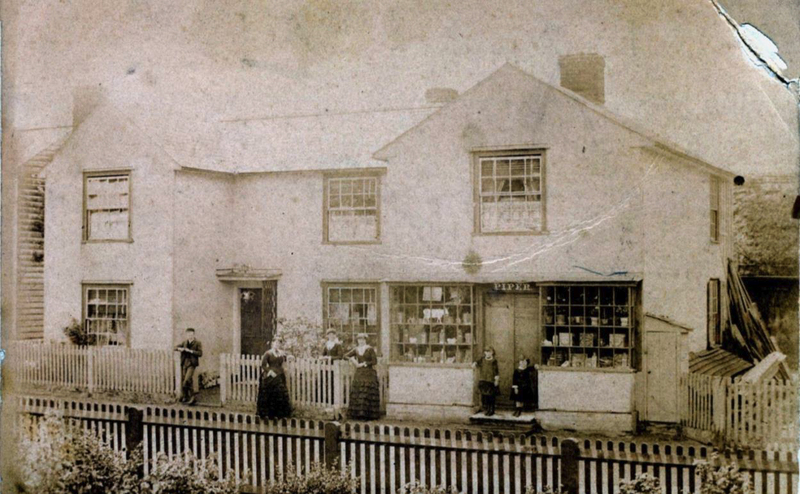 Ros has made a particular study of Guyvers, an old building which was once central to the village as its Post Office, General Store, Undertakers and Telephone Exchange but is now, sadly, long gone with very little but photographs to remind us of its existence. Ros has very kindly consented to us making the history of Guyvers available here for all to read. Ros was helped in compiling this history by two of her third cousins, Heather Piper and Ted Harvey. Ros, Heather and Ted are all decended from George Piper and his wife Elizabeth Cornell mentioned in the article. It would be wrong to make the Guyvers history available without also making available at this point the Takeley Pump booklet. 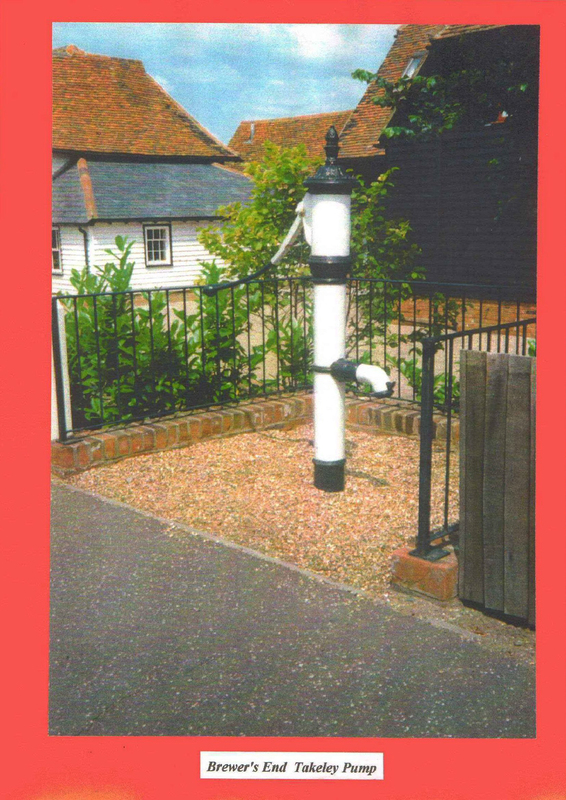 This booklet, missing to us for many years, was made available by Heather Piper, another member of the Piper family and tells the story of the Takeley Pump which still stands on the opposite side of the road to Guyvers and was owned and run by George Piper of Guyvers. 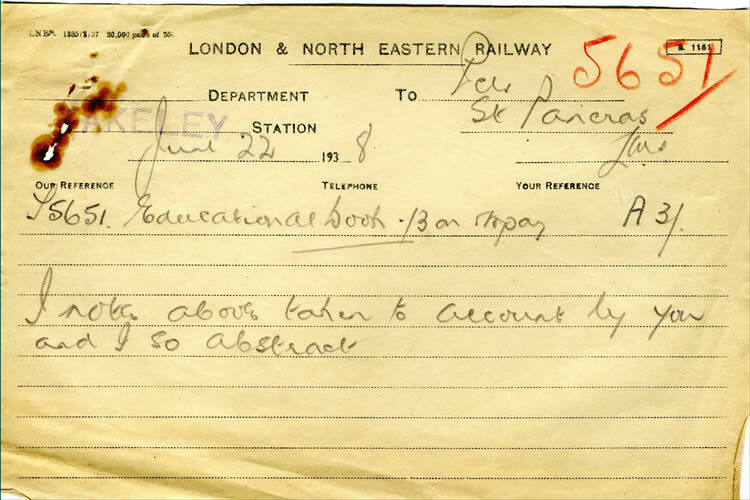 This document has previously been available as part of the Characters and Events 3 booklet. 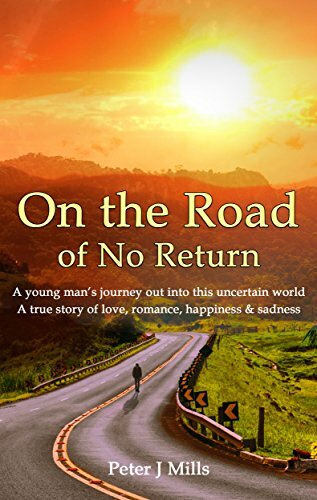 On the Road of No Return A young man's journey out into this uncertain world. A tue story of love, romance, happiness & sadness by Peter J Mills. This new book published in 2017 has been written by Peter J Mills who was born and lived his early life in Takeley and still lives nearby. It is an autobiography and I am told that it contains details of Takeley. I haven't read it yet so watch this space and I wil report back later. Takeley Station used for a record cover shoot. 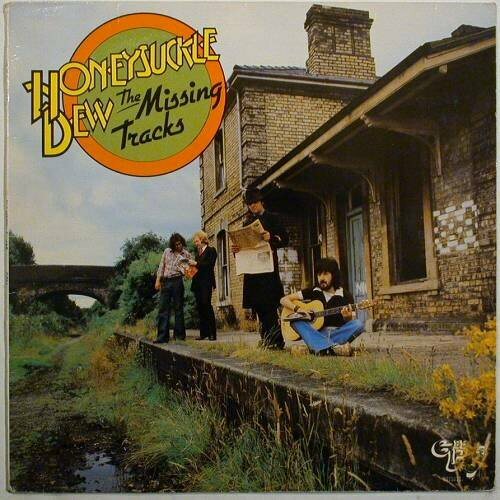 In or around 1979 the pop group Honeysuckle Dew used Takley Station as the backdrop for their LP Missing Tracks. The reason is obvious and it does make a nice photo. Tracks from the LP are to be found on You Tube with some recorded at a listed building in Shalford near Braintree called Prayers Thorn.Another was recorded at the BBC. By trawling the net it would appear that Roger Gee was the main figure in the group and I suspect that he may now reside in Spain. An article by Don Dean. Don, now sadly passed away, was a long time member of TLHS and was keen on all aspects of local history, but his speciality was mechanised transport and he spent many years as a vehicle inspector. He wrote this article about his career as a veicle tester and it appeared in Vintage Roadscene magazine in the Jun-Aug 1997 issue. 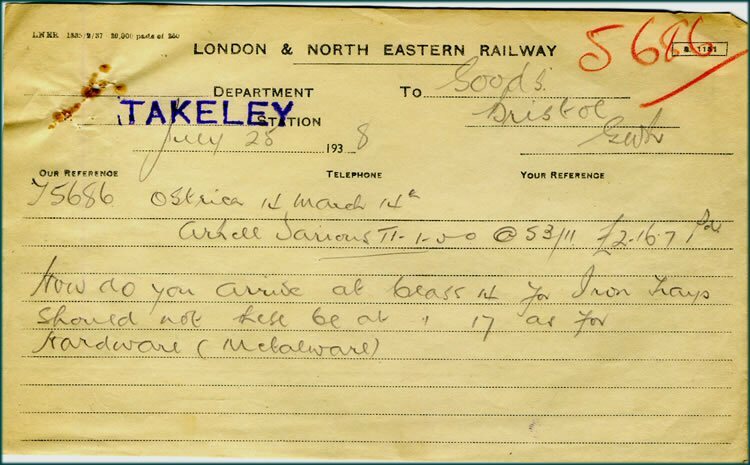 A list of Takeley Constables has come our way via Martyn Lockwood. This could be the start of a project to try and find photographs and mentions in newspaper articles with the names on the list. Watch this space... and if you have anything to contribute please email us. Occasionally something completely new to us comes up, and this is one of those occasions. 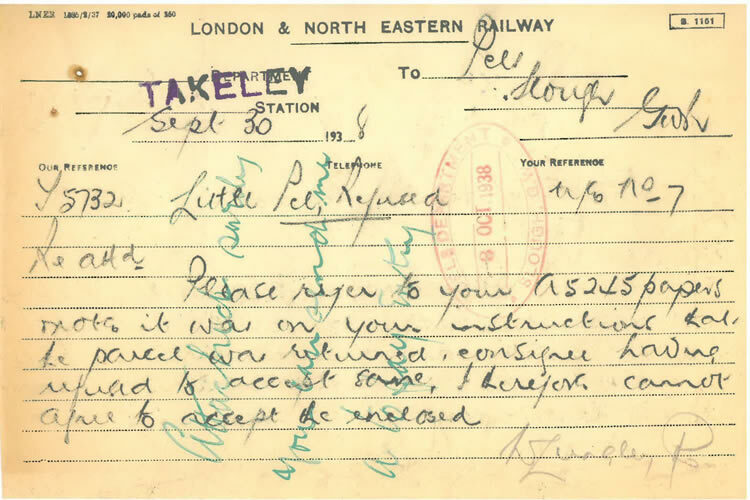 I was delighted to receive an email from Mark Potts who is interested in all things to do with the Great War. 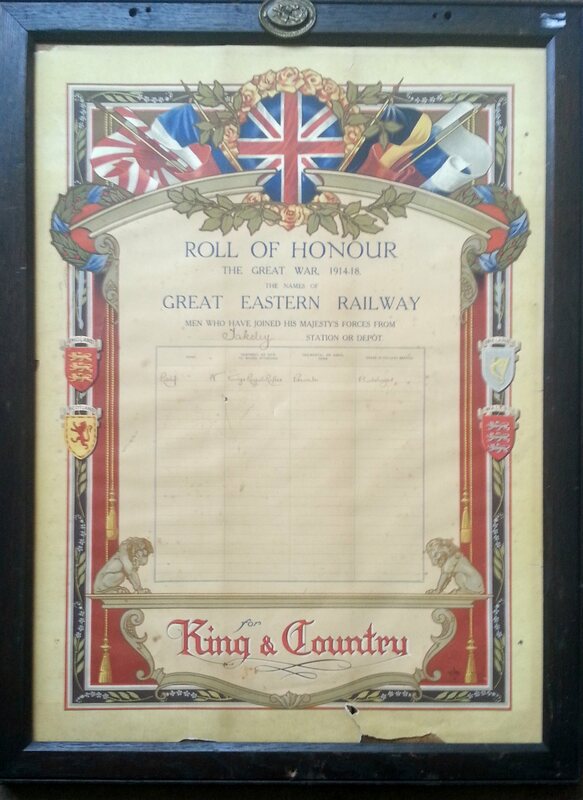 Mark had recently purchased a Roll of Honour produced by the Great Eastern Railway to honour its employees who served in the Great War. 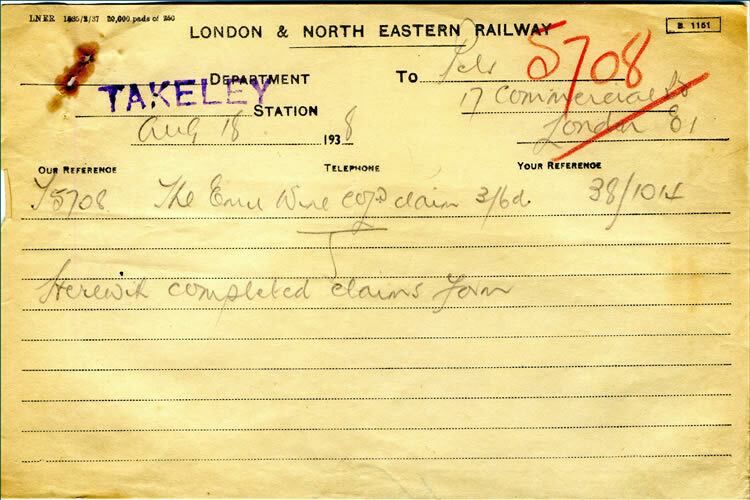 This particular Roll of Honour is for Takeley Station and has one name, that of Private W. Rolf of The Kings Royal Rifles who was a platelayer on the railway. The question that Mark had was whether we knew anything about W. Rolf. The first thing we can say is that he does not appear to have died in the war as he is not listed on either of the main sources (the Commonwealth War Graves Commision website or the Soldiers Died CD). The two Rolfes who do appear on our war memorial (Thomas Rolfe and Harry Rolfe) both spelt their names with an "e" at the end so one question that arises is did the calligrapher who inscribed the Roll of Honour miss off the final e? Searching the Holy Trinity Takeley lists of Births, Marriages and Deaths show up a possible link. 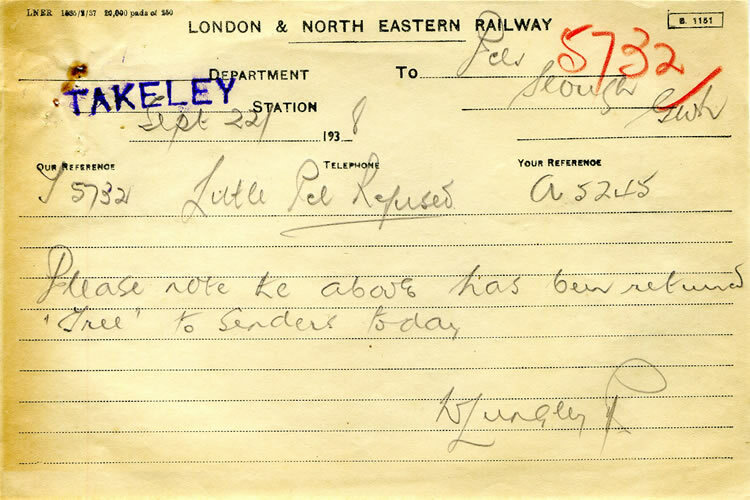 Working backwards from burial records a William Rolfe was buried on 19th August 1953 aged 74. This would have made him aged about 35 in 1914. The same William Rolfe appears to have married on 16th May 1936 aged 56, a bachelor and agricultural labourer, son of George Rolfe (deceased). He married Emily Camp, a spinster aged 56, daughter of George Camp (deceased). There is no corresponding baptism record but national birth records show a Willam Rolfe being born in the Dunmow area (which includes Takeley) in the last quarter of 1879 which fits with the other dates. So this leaves us with a lot of unanswered questions: Does the W. on the Roll of Honour stand for William? Was a spelling mistake made with his name? Is the William Rolfe in our parish records the same man? Finally if it is him, then why did he become a labourer and not go back to the railway? One more factor to add to the confusion, there is a Walter J Rolfe who witnessed a marriage at Holy Trinity Church in 1948. we know nothing else about him but this could also be our man. Maybe one day we will find out. This bit of ephemera turned up on ebay recently. 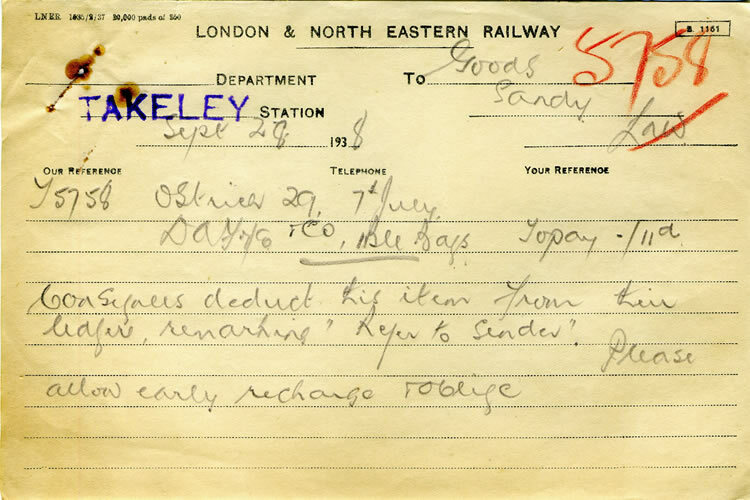 Its a returns slip dated Sept 30th 1938 which would have accompanied some item of goods which was not accepted by whoever itwas sent to in Takeley and returned to Slough. . 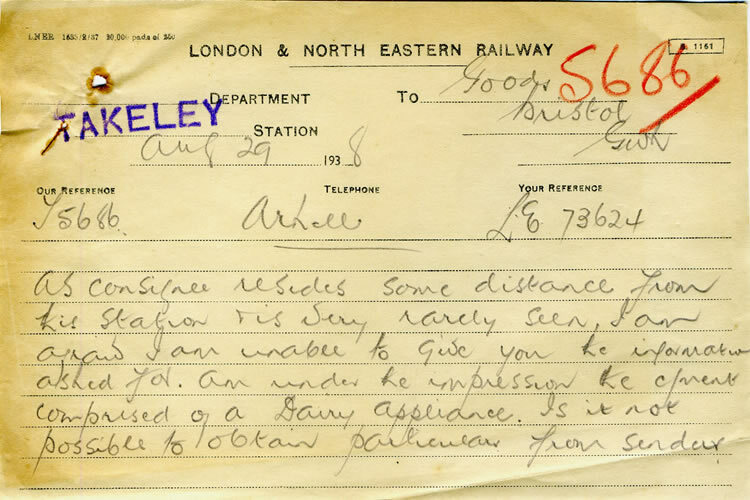 I imagine that there would have been thousands of these slips produced over the years and quite how it found its way to ebay almost 80 years after being written is anyones guess. What I do know is that there was an old outbuilding in the station yard where old records were kept and when the station yard was cleared for building Sycamore Close in the 1990s a large bonfire was made by the developers. Perhaps someone saved this from the fire. Another 6 of these were obtained via ebay as shown below. After demob from the RAF an ex-Dunmow scout Les PEPPER started the 1st Takeley Scout Troop. Bob BISHOP and Norman YOUNG, also ex-Dunmow scouts, used to help out with Takeley scouts when they were home from university. The three are now in their 80s, and are still in touch. 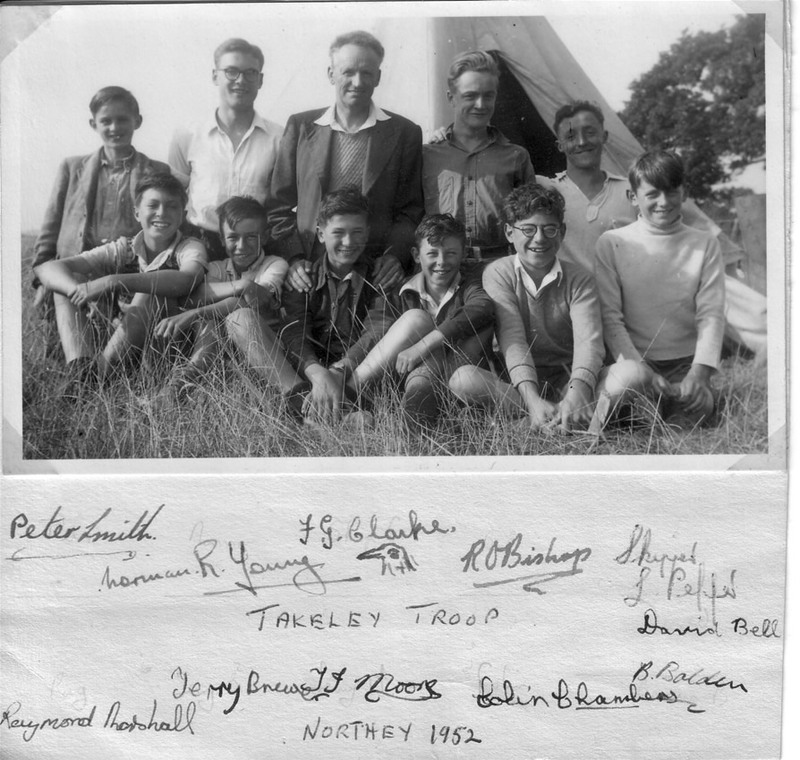 This photo of Takeley scouts was taken at the end of summer camp on Northey Island in the Blackwater estuary in 1952. F.G. (Freddy) CLARKE was also camping there at the time with a different group. He was in the photo because he started the Dunmow scouts in 1924. Vera Churchill Challenge How has the flora of the village changed over the past 90 years? Have modern farming methods reduced the number of wild flowers? Apparently not. Takeley Park Building Estate Plans to develop what is now Priors Green which date from 1904. Sixty five years ago we would have either been locked up or possibly shot for revealing what I am about to reveal here. This arrived to us in an envelope still marked as SECRET. I think both the world and Takeley have changed sufficiently that what follows is now out of date. A number of directories exist for Takeley and to save you searching for them we reproduce the Takeley portions here. If you have copies of any others please let us know. Essex Records Office have recently conserved 42 early medieval deeds relating to the manor of Colchester Hall in Takeley. (The Cochester Hall site is now under the airport terminal). 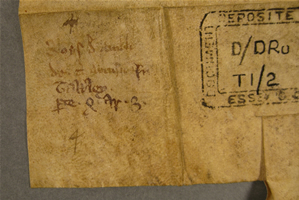 The deeds are particularly interesting because they all date to before 1250, many have intact seals, and notes made in Arabic numerals on the back of the deeds are an early example of the use of this numbering system in England. The link above is to a site which has details of all British listed buildings. The results for Takeley and Little Canfield are included here.